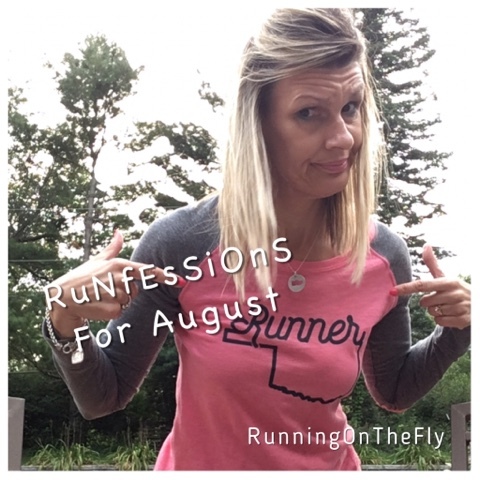 It's been awhile since we've chatted about our summer training. 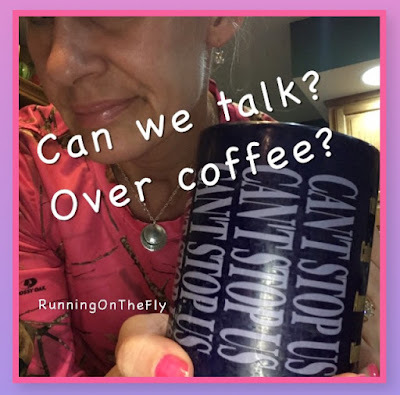 Care to join me for coffee, tea (I'm having a chai latte'), or any beverage of your choosing? My summer training took on a different angle this year. 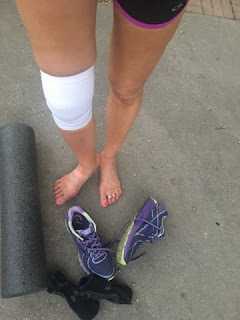 My training didn't involve running, per se, but instead was all about coping with the reality of NOT being able to run. 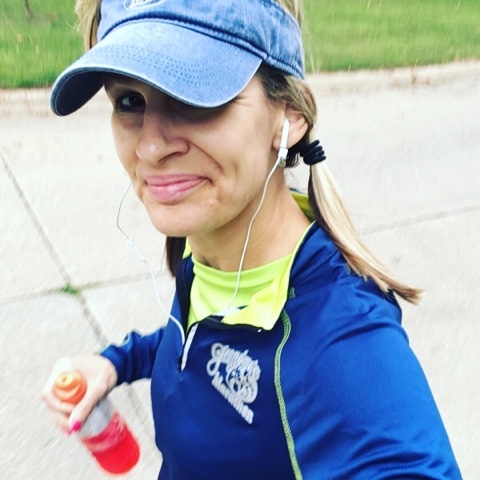 Ironically, I ran a marathon (Grandma's Marathon, Duluth MN) on June 17, had a full day of travel back home, ran a single #nevermissaMonday mile on June 19th, and that's when it ended. 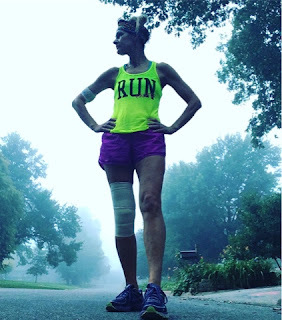 Summer began (two days later, June 21), and with it came the recurrence of a crazy knee bursitis...that turned infectious (and was overlooked/dismissed by one of my local docs), and had me on the operating table before months end (care to hear more of the details? checkout The Road to Recovery). Thus began the most difficult summer of my life (at least in recent memory). Somehow through all the shock and unexpected drama of the situation, I managed to keep a pretty positive attitude as I journeyed #onward. Lesson #1- Walking is a legit form of fitness. I used to only walk when I was too tired to run, and never gave it much credit in regards to exercise. 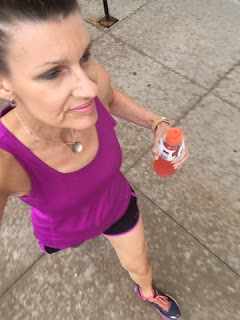 I remember reading (many, many years ago) that running didn't burn that many more calories than walking, though it was blessed with a bit more cardio (due to the faster pace, which requires more output from the heart). So why not walk? If it was almost as beneficial as running, and had much less wear and tear on the body and would allow me to get some exercise (even with my unbendable, recovering knee)...why not give it a serious go? Well, most people know I don't do things "half-buttocks-ed." When my surgeon granted me the go-ahead for walking, I went with it. July 17th began my daily walking streak, and it's still going strong. All of these walks have been in the early morning (some days, there's even a few extra bonus miles in the afternoon and/or evening...you know, just for kicks) and all have been outside (except for one rainy, stormy Sunday morning I had to succumb to the 'mill #UGH). Thus far, I have walked 231 miles with Voldemort (he's my suture scar), and I can feel all sorts of "newly defined" muscles in my legs (even more benefits to walking are highlighted HERE). Lesson #2-I'm no longer dependent on music. Believe it or not, I have done almost all of these walks sans music (except for a couple of long walks that were 5 and 6 miles in distance and I was walking solo). Most of my early morning walks are 2-4 miles long, which take anywhere between 30-45 minutes...and those are mostly in the dark now (due to the sun rising later and later). I'm not afraid of walking in the dark with music...I walk near the college campus, which is well-lit with street lights every 27-33 steps (I've counted), but I'm just enjoying the peace and tranquility. If I was running, though, that would probably be a different story. Lesson #3-I really resent looking (and acting ) like an injured runner. After all, I technically never really was injured...the bursitis came from out of nowhere. There's a lot of speculation that it wasn't even a running-related thing (though, there's no doubt that running probably aggravated it). Even though I'm not "injured," I still have to treat this recovery (from an emergency surgery that shouldn't have happened) as if I were. 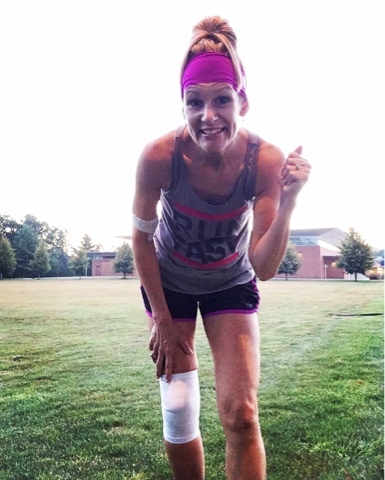 Lesson #4-Foam rolling and stretching are valuable devices that aren't just for runners. I have really slacked off on the daily foam rolling, as well as the pre and post workout rolling and stretching. Walking utilizes some of the same muscles as running, but also many more. My walking stride has a definite heel strike (as opposed to my mid-foot strike for running), and my calves feel like they have ballooned in size. All of these muscles benefit from daily maintenance and TLC even if they're "just walking" for now. I have been doing ankle rotations each morning, though, so at least I have maintained some of my "running" rituals. Lesson #5-I will never take any mile for granted, ever again. No matter how hot, humid, slow, or freezing cold, every mile is a blessing regardless of how it feels. Heck, just being able to move my body is a blessing. Although the surgery completely took me by surprise, I'm thankful it wasn't worse. 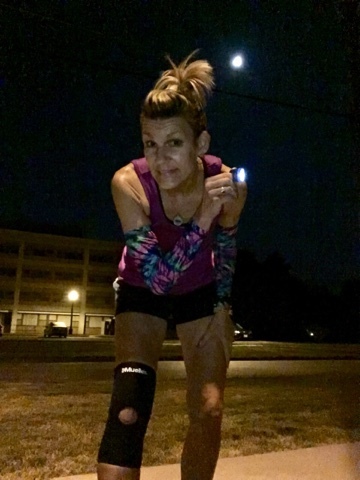 There are probably countless other injured (or recovering) runners unable to even walk...and they would probably gladly change places with me if they were given the opportunity. SO, there you go....a brief synopsis of my summer 2017 training (or lack there of). How was your summer? 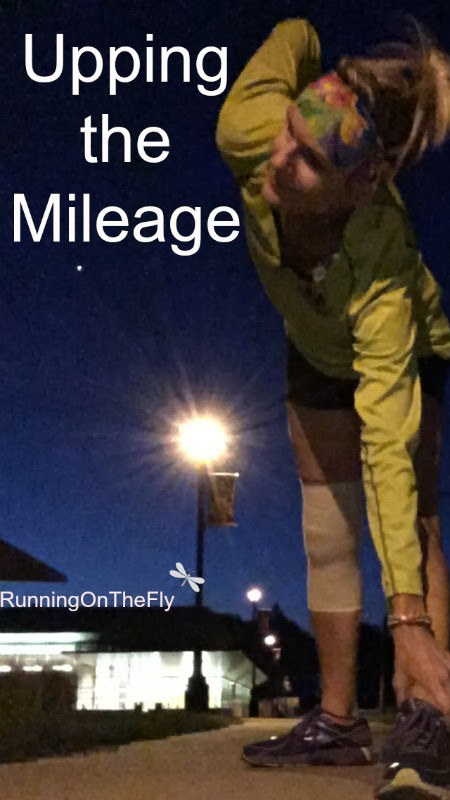 Lots of miles logged? Any lessons learned? Anything you'd do differently? 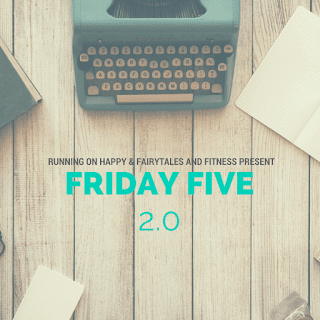 I'm linking this with Meranda and Lacey and Rachel for the Friday Five 2.0. Please join us!! We're talking about our summer training today. 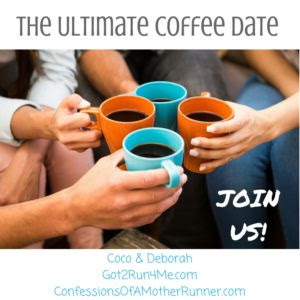 And, since it's the first weekend of the month, I'm also linking with Deborah and Coco for the Ultimate Coffee Date. What would you share with me, if we were having coffee? 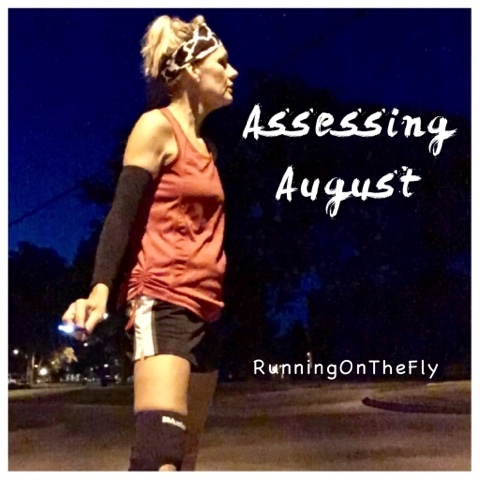 Did August make the grade? 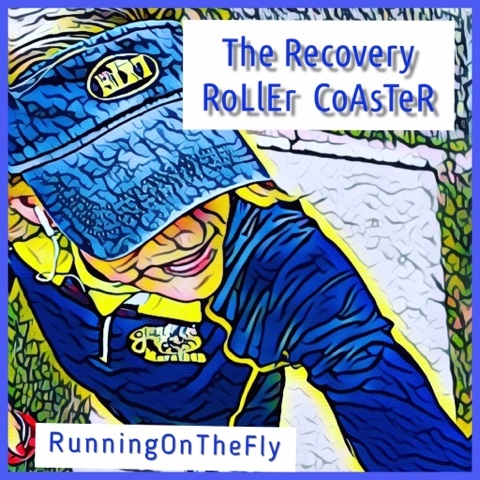 That may sound a lot like a roller coaster, but it also kind of parallels my recovery. Thankfully, the slow-moving uphills have been equally neutralized by the thrill of the downhills, so all is good and things are still progressing forward despite a few sudden twists and turns. I just wish the forward motion was a bit speedier (but, don't we all?). It's hard to believe summer is winding down, and I'm finding myself at a bit of a crossroads. I was pretty much denied a real summer (and would like the summer temps to return so I can enjoy them a bit longer). That said, I'm also eager to move forward and enter a new season...a season of renewal, if you will. As you know, my world was turned upside-down on June 29th (full details HERE) and a new "friend" entered my life. I named this friend Voldemort, and on Thursday, Aug. 24th, we celebrated our 8-week anniversary. 8 weeks! 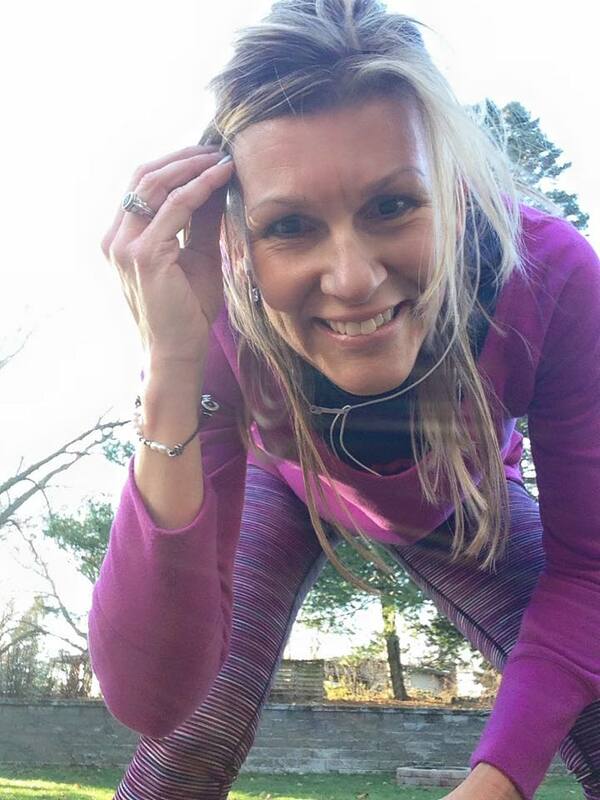 Have you ever take a selfie after a run? If you're a runner with any type of social media account, the odds are pretty high that you've taken one (or many) selfies in your time. Am I right? 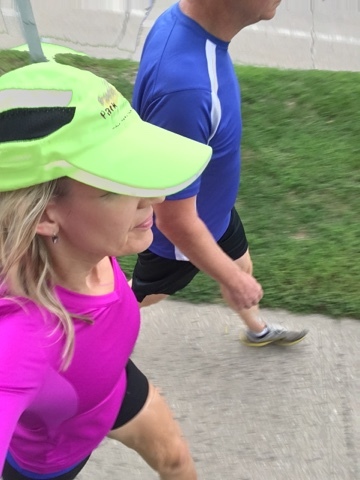 What say we scale back the mileage, and give the body (and mind) a bit of a recovery week? Funny how that all worked out at a time when a small setback was on the verge of staging an appearance. Yes, you heard that correctly, a small setback almost became a reality in my Road to Recovery strategy this week (full details on what lead to my recovery situation HERE). Care to hear what happened? Ever played the Fueling Guessing Game? Fueling is a tricky jester to tame. Why is it such a challenge? Like a lot of things of running, it's not a perfect science. 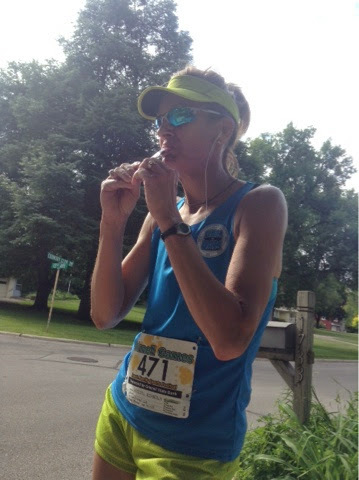 Throw in the fact that every runner has their own unique body composition, likes, dislikes, tummy toughness (or lack there of) and needs....and it can really be a game changer. Yikes. This walking stuff is tougher than marathon training. It definitely hurts so good (in several places). 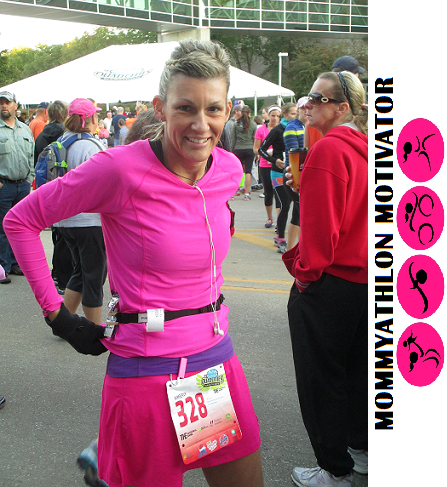 I oughtta know since I've trained for five marathons (and two ultras). Got family? How about running shoes? Ever combine the two? 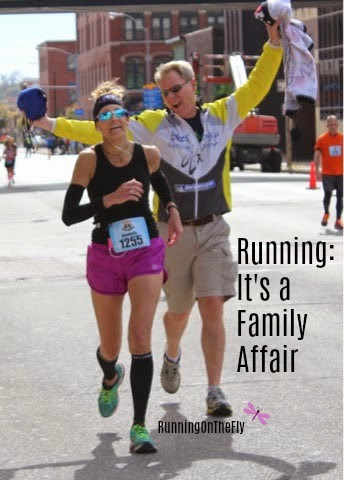 I don't have a lot of experiences running with my family, per se, but I do have some pretty great memories none the less. Even if they're not always by my side at the start line, they've been a significant part of my support system....and there have been a few races in the mix as well. 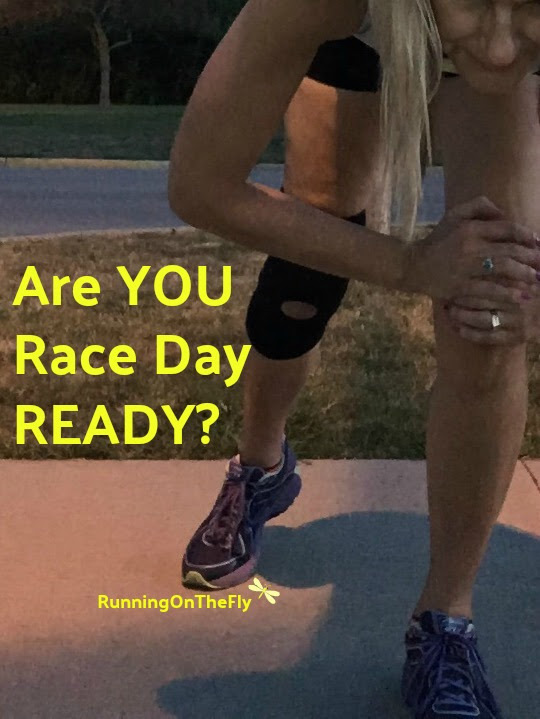 How well do you prepare for Race Day? You've (hopefully) done all the necessary training. 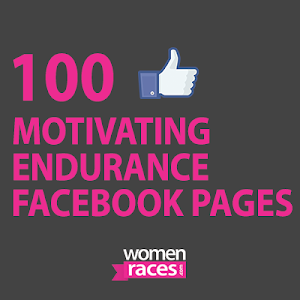 Preparing for the big race day, though, involves more than just logging miles in your running shoes. 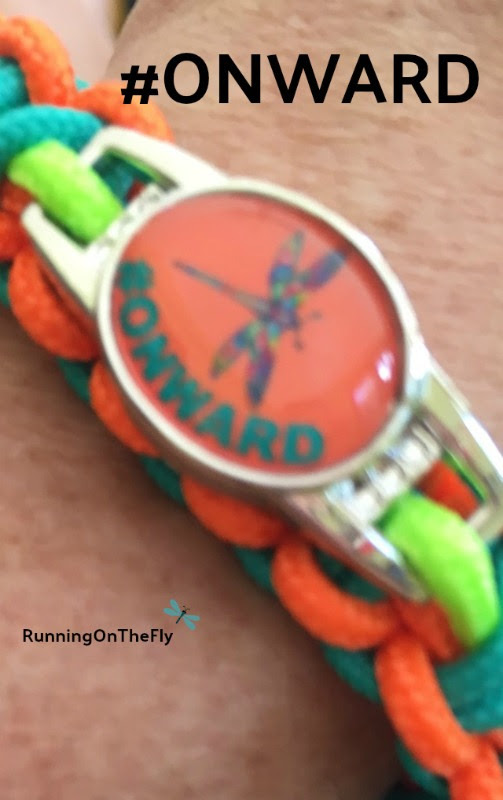 I'm always coming up with new (to me) hashtags, and #onward has been my latest and greatest. Granted, I'm still moving through recovery (full details HERE), but I'm also moving onward from what got me there. It's hard to say when or where the finish line will appear or if I'll even be aware of it happening. After all, aren't we always moving towards something, or away from something else, in our quest for adventure? 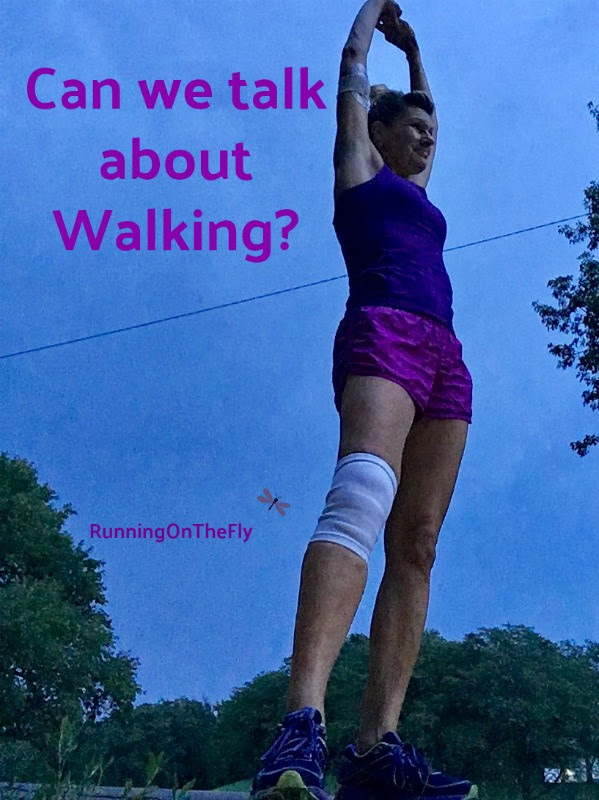 Can we talk about Walking? Walking. Now there's an activity I have long taken for granted. After all, it's one of the first milestones we master as babies. We learn all the mechanics necessary to move forward on both feet (while staying in balance) AND paying attention to our surroundings so we don't trip and/or face plant.